Organisers and campaigners in Zimbabwe have advised citizens to tap social media to drum up support for protests against President Robert Mugabe until he steps down. The organisers and campaigners are advising citizens to keep following the #tajamuka hashtag on social media. Tajamuka, loosely translated, means “we have had enough” in the Shona vernacular. Business and economic activity was disrupted on Wednesday when citizens heeded a stay-away call spread on social media platforms such as WhatsApp, Facebook and Twitter. WhatsApp access was initially restricted early on Wednesday on all mobile networks but was restored shortly before midday. Now, one of the groups using the #tajamuka hashtag that campaigned for Wednesday’s stay-away has said that more protests will be organised against the government. “We urge people to follow our social media platforms for more information and on what will happen next,” said Promise Mkwananzi, spokesman of the #tajamuka campaign, which is being backed by several civic society organisations in Zimbabwe. He said, however, that the campaign group was not behind a WhatsApp message that has also gone viral in Zimbabwe — the message called for further protests on Saturday. Civil servants also protested on Wednesday after their salaries for June were delayed. “We are not behind that social media message. We communicate our messages on our social media platforms and our information is public,” added Mkwananzi. The #tajamuka and #zimprotests are among the most popular and trending tags on social media platforms. Pictures about yesterday’s protests have been receiving comments, with followers also expressing outrage over developments such as police heavy handedness and closed companies. 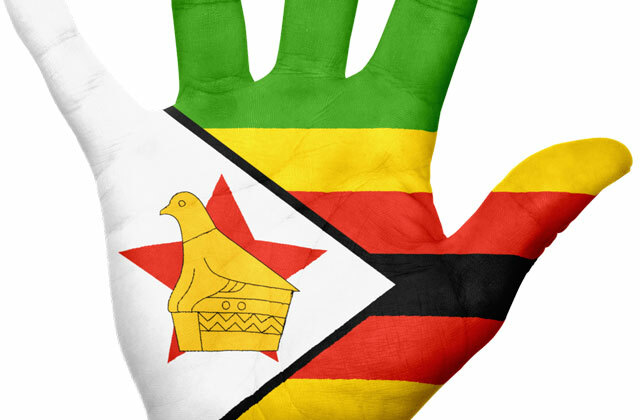 Zimbabwe has seen growing usage of social media platforms, which have been key in highlighting developments regarding demonstrations against the government. Earlier this week, protesters splashed pictures about demonstrations over import restrictions introduced by the government. However, the government has now moved in to curb social media usage, with the telecommunications industry regulator saying those spreading, sharing or in possession of information deemed to be aimed at causing civil unrest will be arrested. Experts in Zimbabwe are divided over the possibility of the government managing to snoop on WhatsApp messages shared by private citizens because of end-to-end encryption introduced by WhatsApp this year. The government of Zimbabwe has also said in the past that it is looking at ways to regulate usage of social media platforms. The Media Institute of Southern Africa has criticised the moves to restrict usage of social media in Zimbabwe. “These disturbing pronouncements are a repeat of similar threats issued by President Mugabe and [ICT Minister Supa] Mandiwanzira a few weeks ago against the use of social media to communicate what government deems unpalatable,” said the institute in a statement. I can see another MATABILE MASSACRE in the making.